During this Lenten period of fasting and prayer, we are each called to a deeper conversion and transformation of life in Christ. This lecture series will reflect on the "universal call to holiness" that is at the heart of the Church's mission and the rich sacramental and spiritual legacy which is made available to each of us through the Church. The Lord Jesus, divine teacher and model of all perfection, preached holiness of life (of which he is the author and maker) to each and every one of his disciples without distinction: "You, therefore, must be perfect, as your heavenly Father is perfect" (Mt. 5:48). For he sent the Holy Spirit to all to move them interiorly to love God with their whole heart, with their whole soul, with their whole understanding, and with their whole strength (cf. Mk. 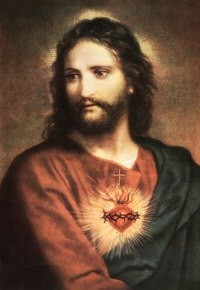 12:30), and to love one another as Christ loved them (cf. Jn. 13:34; 15:12). The Most Reverend Joseph F. Martino will address the central role of sacramental confession in leading us into a deeper union with Christ and His Mystical Body, the Church. He is an Auxiliary Bishop of Philadelphia, Titular Bishop of Cellae in Maurentania, and is the Director of the Office for Ecumenical and Interreligious Affairs for the Archdiocese. He will be offering mass at Our Lady of Lourdes Church at 11:00 a.m.
Joseph Pearce will offer a tour through the giants of Modern Christian Literature from Coleridge to Muggeridge. British scholar and author, Joseph Pearce is currently teaching English at Ave Maria College in Michigan and is the co-editor of The Saint Austin Review. 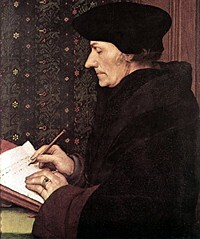 His many works include literary biographies of G.K. Chesterton, J.R.R. Tolkien, Alexander Solzhenitsyn, and Hilaire Belloc. 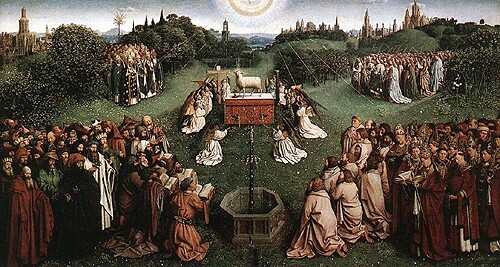 What did Vatican II intend in reforming the timeless eternal sacrifice of the mass and supper of the lamb? What are the repercussions of this reform in liturgy, culture and community? Did this reform succeed in the Church? Has it really been tried yet? Father Giles R. Dimock is Associate Professor of Liturgy and Sacraments and the Vice President/Academic Dean at the Dominican House of Studies in D.C. He has also taught at Franciscan University of Steubenville and the Angelicum and has written several books and articles on religion, the Church, and the Liturgy. Dr. John M. Haas is the President of the National Catholic Bioethics Center in Boston and the Founding President of the International Institute for Culture. Having received his Ph.D. in Moral Theology from the Catholic University of America and his S.T.L. 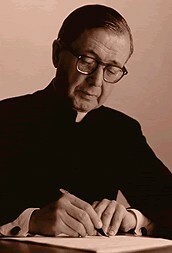 in Moral Theology from the University of Fribourg, Switzerland, Dr. Haas was the John Cardinal Krol Professor of Moral Theology at St. Charles Borromeo Seminary, Philadelphia and Adjunct Professor at the Pontifical John Paul II Institute for Studies in Marriage and the Family, Washington, D.C.
St. Josemaria, the Spanish priest through whom God founded Opus Dei, showed us in his writings and his life that all baptized Christians are called to be saints, not just those with vocations to the priesthood or religious life. Beginning with the Scriptural and doctrinal basis for devotion to the Sacred Heart of Jesus, Dr. O'Donnell will cover its history, including St. Margaret Mary, the teachings of modern popes and Vatican II, and ways to live the devotion in our own lives. Dr. O'Donnell has served as President of Christendom College in Front Royal, Virginia, since 1992 and has taught both theology and history at Christendom since 1984. 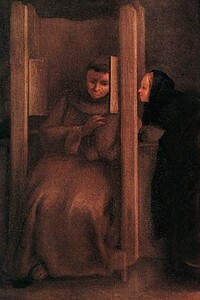 The father of nine children – the eldest of whom is a cloistered Poor Clare Nun in the Catholic Diocese of Arlington, VA – O'Donnell was the first layman to receive both his licentiate and doctoral degrees in Ascetical and Mystical Theology from the Pontifical University of St. Thomas Aquinas (Angelicum) in Rome. He has taught at St. John's Seminary in Camarillo, CA, and at Loyola Marymount University in Los Angeles, CA. He is a Knight Commander with Star in the Knights of the Holy Sepulchre. He is the author of Heart of the Redeemer and Swords Around the Cross: The Nine Years War and he has filmed many programs for the Eternal Word Television Network (EWTN) including Glory of the Papacy and Luke: Meek Scribe of Christ. He was recently announced to a five-year term as a Consultor of the Pontifical Council for the Family, beginning on November 18, 2002 by Pope John Paul II.